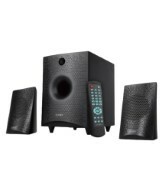 Amazon offering F&D F210X 2.1 Bluetooth Speakers - Black Rs.1698 which is worth of Rs 2590 best and lowest price online. You can follow the below steps to buy this product at their deal price.Keep Visiting dealsheaven.in for more Best offers ,hot online deals, promo code, coupons and discount . How to buy F&D F210X 2.1 Bluetooth Speakers - Black ? We provide genuine deals and Free Online Coupons for best stores including Flipkart, Amazon India, Mamypoko,Jabong, eBay, Snapdeal, Myntra, Freecharge, Paytm, Cleartrip, Yatra, Homeshop18, Shopclues, Infibeam, Pepperfry, Expedia, Fashionandyou, Lenskart , Peppertap, Bigbasket and many more. Dealsheaven share Deals of the day , Coupan of the Day, Offer of the Day which is lowest price deals among various good deals and enable users to save good amount of money.We are happy to serve to better and make you smile after each purchase. Keep visiting DealsHeaven.in for best price deals. You can find amazing Shopping Deals in every category such as Baby Care & Toys, baby diapers great discount,Books, Music and Movies, Cameras & Camera Accessories, Car & Bike Accessories, Computers, laptops & Accessories, Electronics, Fashion & Apparels, Food, Entertainment and Services, Freebies, Gaming, Sports and Fitness, Gifting, Stationery & Office Supplies, Home Décor & Furnishing, Home Entertainment, LED LCD TV, Jewellery, Kitchen and Home Appliances, Mobiles & Mobile Accessories, Music, TV & Accessories, Personal care & Cosmetics, Sports and Outdoor Activities, Travel are already available. "JOIN" < Name >" on whatsapp.